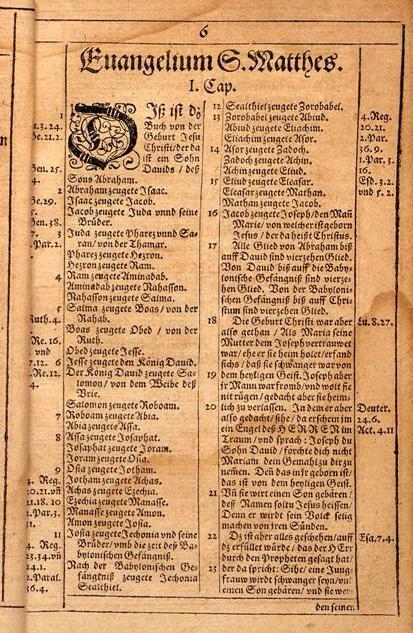 From front cover of Luther's German translation of the New Testament, 1582. The leaders of the Reformation wanted to return to a faith and practice more consistent with the teachings of the Bible. Understanding God did not come from allegiance to a church, they argued, but through individual study of scripture. This led to a surge in production of new versions of the Bible. The Bibles produced during the Reformation were just as important as the individuals who led the movement. 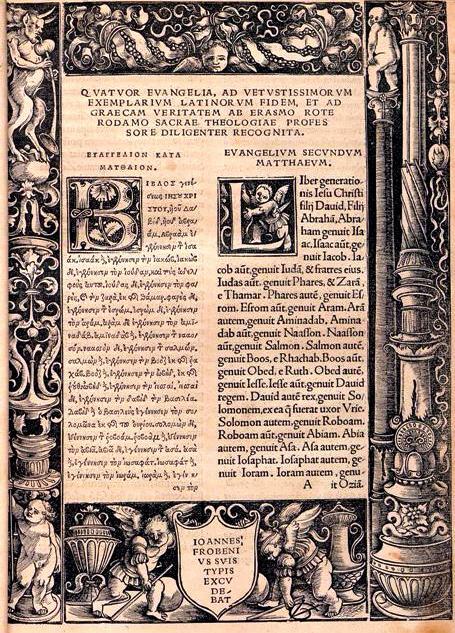 The Erasmus Bible—featured in this year’s Reformation Sunday bulletin insert—proceeded the Reformation by one year. Its publication was a monumental event. A Catholic priest from the Netherlands, Erasmus of Rotterdam was also a scholar of the Northern Renaissance. He remained devoted to the Catholic Church, but believed it needed reforms. One thing he targeted was the Vulgate, the Latin version of the Bible translated in the fourth century and widely used by Catholic leaders. Erasmus believed the Vulgate was filled with errors; he counted more than 6,000. Because the New Testament was originally written in Greek, not Latin, he created a new Greek translation derived from several sources. Using his version, scholars could compare the church’s Vulgate with the original Greek. Erasmus’s translation—the first Bible to include editor’s notes about the meaning of the text—would prove hugely influential. In the preface to his New Testament, he urged others to continue his work by translating the Bible into their native languages. Many reformers, including Martin Luther, did just that. Erasmus’s translation served as the textual basis for Luther’s German translation, William Tyndale’s English translation (1526), and the King James Version (1611). Next year, we will commemorate Martin Luther posting his 95 criticisms against the Catholic Church to a church door in Wittenburg, Germany. This act of defiance is considered the start of the Protestant Reformation. Luther’s translation included his exegesis on the New Testament. He did not think its books were equally important: those that emphasized Jesus Christ he deemed authentic scripture; others (such as The Book of Revelation) were less significant. It took Luther and a patchwork team of scholars twelve years to translate and publish the entire Old Testament, which was released in installments. The Pentateuch, the first five books of the Bible, wasn’t released until 1523. Following the examples of Erasmus and Luther, work began on creating a new Bible in England. 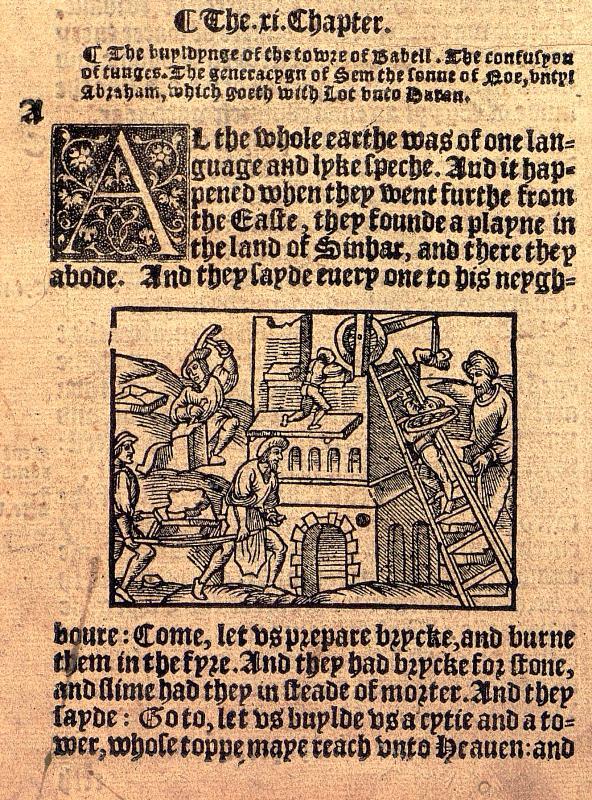 Like many places in Europe, creating a local-language Bible in the British Isles was dangerous. Unlicensed possession of scripture could result in death. William Tyndale set out to create the first English Bible directly translated from the original Hebrew and Greek. Tyndale published his New Testament in 1526 and the Pentateuch in 1530; Tyndale also published an English version of the Book of Jonah. Other Old Testament translations he made were never published. Tyndale’s translation was considered such an act of heresy that he was burned at the stake after being strangled to death. After Tyndale's death, circumstances changed, allowing others to make revisions without being persecuted. In December 1534, the Canterbury Convocation petitioned the crown for the English Bible with the translator to be determined by the king. Earlier, Henry VIII had separated the Church of England from the Catholic Church. Henry VIII chose Miles Coverdale, who had helped Tyndale translate the Pentateuch, as the translator for the new Bible. The Coverdale Bible, published in 1535, would be the first Modern English translation that included the Old and New Testaments. And yet the Great Bible of 1539—which grew out of Tyndale’s work—was the first authorized edition of the Bible in English. King Henry VIII of England allowed it to be read at Anglican services. In 1553, many English reformers fled to Geneva when Edward VI died and the Catholic Mary took the crown. Besides John Knox, these reformers included Miles Coverdale. Many protestants at this time were attracted to Geneva due to the presence of John Calvin. The first full edition of the Geneva Bible appeared in 1560. 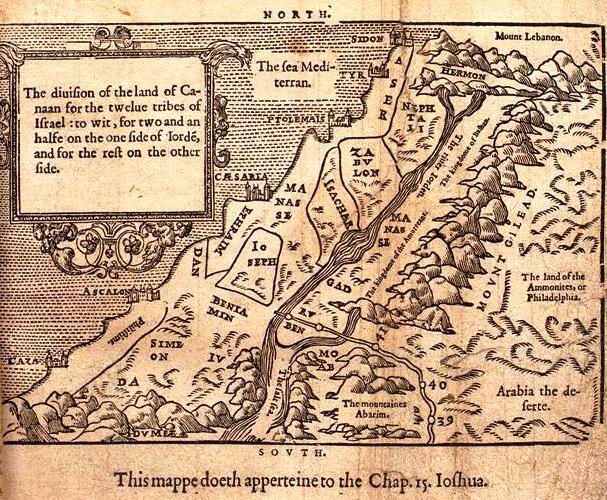 The Geneva Bible included elements that are quite common today but novel at the time, including maps, cross-references to other biblical verses, prefatory summaries, and study guides; it was also the first Bible to divide chapters into verses. The Geneva Bible was the Bible of Shakespeare, Milton, and the Puritans, who brought it to America on the Mayflower. The Geneva Bible also has an important connection with Presbyterianism. The very first Bible printed in Scotland, issued in 1579, was the Geneva Bible; it was the primary Bible of John Knox. The Geneva version was widely used in both Scotland and England until it was eclipsed in popularity in the seventeenth century by the King James Bible. 1 hour 50 min ago. Happy #EarthDay from the Presbyterian Historical Society! Here is an image of the very first Earth Day in 1970 that comes from our collection of Religious News Service photographs. To view this image and read about the Presbyterian Church and it's involvement in environmental causes over the years, visit https://buff.ly/2GznHvN.